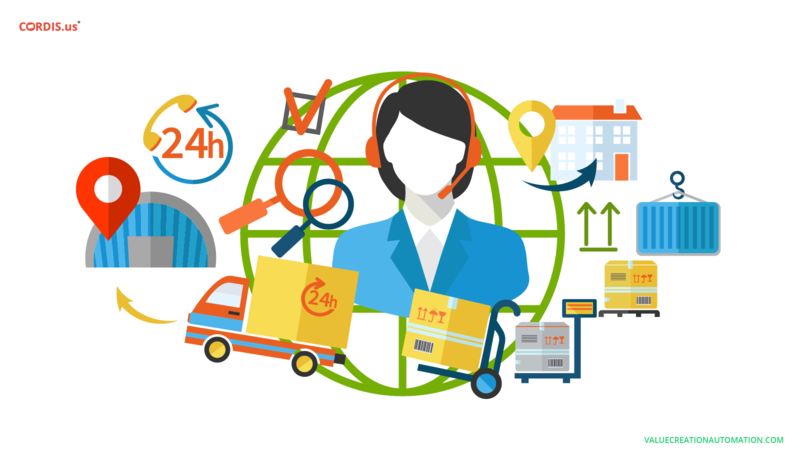 Why Is VCA The Best Supply Chain Management Software for Small Businesses? The continuously evolving technologies puts small businesses in the doldrums. In a continuous endeavor to make processes efficient, the business owners end up in investing too much money. Should they be spending in an inventory software or focus more on making timely delivery of the final products and services to customers? When it comes to managing the supply chain process, many such questions creates a state of confusion for Owners & Directors. 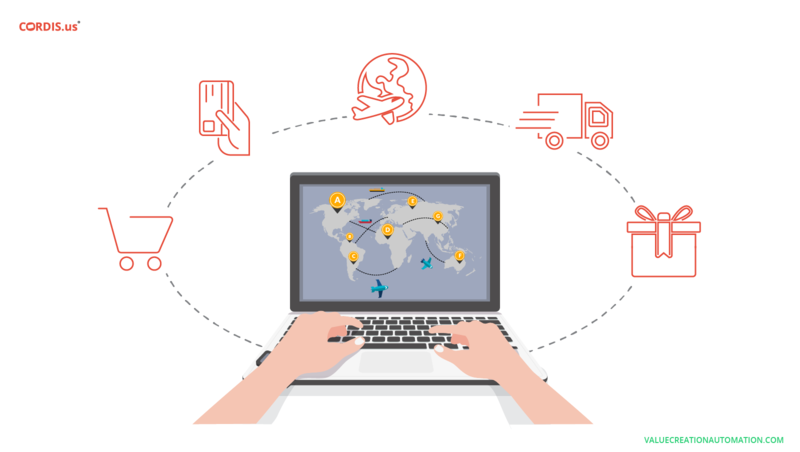 But, VCA is an integrated automation solution that enables small businesses in managing the entire supply chain operations from anywhere and at any time, using smartphones and tablets as well. Value Creation Automation (VCA), an advanced business software, is designed to help in pacifying the heat of competition and help companies in gaining competitive advantages. Developed by Cordis Technology, VCA is the best supply chain management software for small businesses. Following points will make it more clear that what makes VCA a unique and the best supply chain management software for small businesses. Why is VCA a unique supply chain management software for small businesses? • The best feature that makes VCA a unique business software is that it consists of a flexible structure, which can be customized instantly with the new process requirements. This small business software application updates & upgrades at regular intervals, giving employees a first-hand experience of the continuously innovating technologies and trends. • Another feature that enables VCA in beating many of the advanced ERP software is the ability to integrate the entire supply chain process into one single platform. Right from the procurement of the raw materials, inventory management, scrutinizing the production line to packaging, shipping and delivery of the finished products & services - VCA enables business leaders in controlling the entire supply chain through a visual dashboard and that too in the real-time. • Cost-saving ability is one of the most important factors that makes VCA a unique supply chain management software for small businesses. The old-day On-Premises ERP software involves huge costs that keep them defined to mostly the Large Enterprises. But VCA makes technological solutions equally affordable for the Small and Medium Enterprises as well. With this user-based SCM automation software, the entire supply chain operation can be efficiently managed using even a smartphone. Businesses do not have to invest in hardware, software, servers and don’t have to pay the license fees either. All these factors support the small businesses in saving the operational costs to a great extent. • Reduces the Overall Operational Costs - With the complete automation of the end-to-end supply chain tasks, small businesses do not have to bother much about investing in building the IT infrastructure and on hiring the skilled labors. The automation technology enables in completing the entire supply chain tasks in one go. Moreover, rote tasks are automated, which further supports in saving the overall operational costs of the small businesses. Other than this, VCA supports user-based subscription, where companies just have to pay for the number of users, companies have. • Uses the Continuously Evolving Technologies - VCA integrates advanced technologies to enhance the efficiency of the overall supply chain process. The automation technology supports in streamlining the process; The Artificial Intelligence (AI), on the other hand, turns cognitive ability a reality and thus complements the decision-making ability of the human workforce, at different stages of the supply chain process. 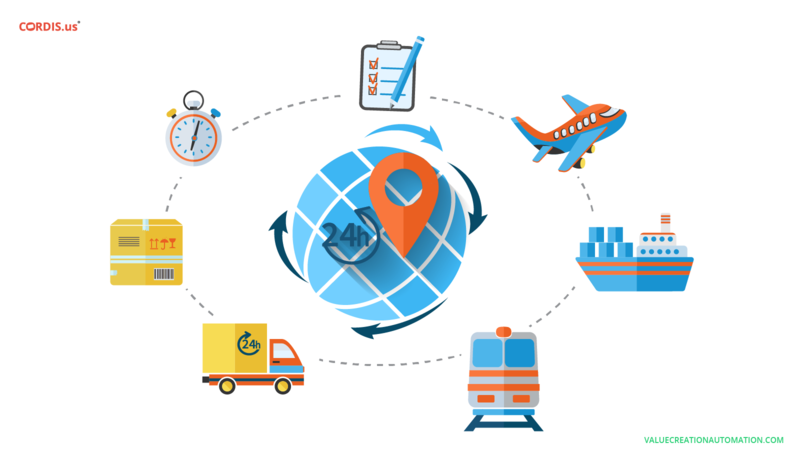 At the same time, it integrates advanced technologies such as GPS and Geo-Tagging to ensure timely and exact delivery to customers. • Enhances Visibility & Gives Better Control - The entire supply chain process can be integrated into one platform through a visual dashboard. It updates small business Owners and Managers updated with all sorts of the process information in the real-time. The integrated platform results in the creation of a shared database, where Owners, Directors, Managers, as well as employees, can have an instant access to information across departments. With the integration of the complete supply chain process, the VCA business software boosts transparency and hence it enables better scrutinization and control. 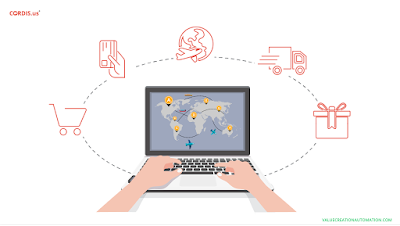 • Flexibility to Run Supply Chain Operations - VCA is a cloud-based supply chain management software, which enables employees & Managers in running the diverse operations from anywhere and anytime. It helps the Managers in keeping a track on the packages sent for delivery, even when away from the office premises. With the entire data saved in the cloud, Owners, as well as employees, can have an instant access to all sorts of reports and other related information. They can manage, customize and even download the data from anywhere and at any time. • Helps in Delivering Value to Customers - At a time when customers are powered by smartphones, backed by the disruptive technologies such as the Internet-of-Things (IoT), businesses must think beyond delivering just the quality. 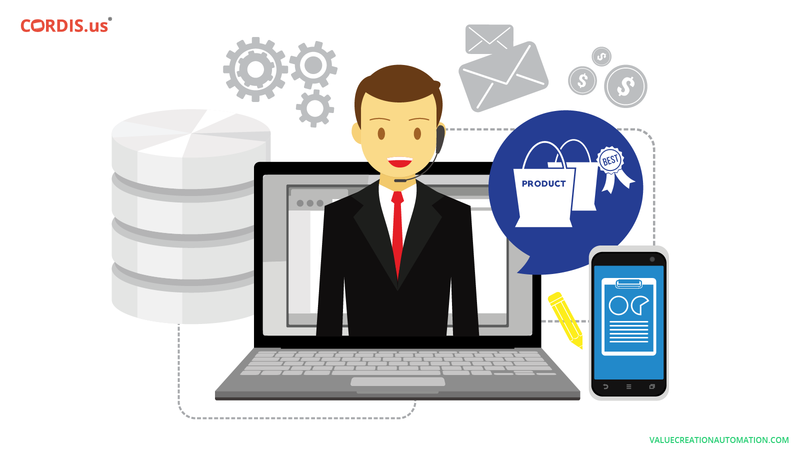 Rather, it is the complete value that a tech-savvy customer expects from businesses. VCA, an advanced supply chain management software for small businesses, enables in delivering the value to customers. Right from getting the order placed, order confirmation, quality check, packaging, dispatching to the delivery, the automated platform keeps customers informed at every different stage. There are many such factors, which encourages customers to remain loyal even in the long-run. The supply chain process is the backbone of any business organization. It involves innumerable tasks and functions, which is time-taking and difficult when performed manually. VCA adds speed, accuracy and most importantly it enhances the robustness of the entire supply chain process, without having to invest too much of the working capital. Gone are the days, when quality was the only criteria to woo customers. Reports suggest that businesses, these days, are focusing more on providing an enriched experience to customers, who are empowered by smartphones & the Internet-of-Things (IoT), which makes them feel tech-savvy as well as informed. In this age of automation & Artificial Intelligence (AI), VCA is the best CRM software that can support businesses in delivering value to customers, encouraging them to remain loyal even in the long-run. Going beyond the traditional customer contact management motto, this cloud CRM solution is designed to support companies in managing and developing a healthy relationship, which can help in retaining the existing customers and acquiring new ones. VCA incorporates disruptive technologies, which supports in organizing and analyzing the entire customer data to generate valuable insights & in performing other various CRM functions efficiently. 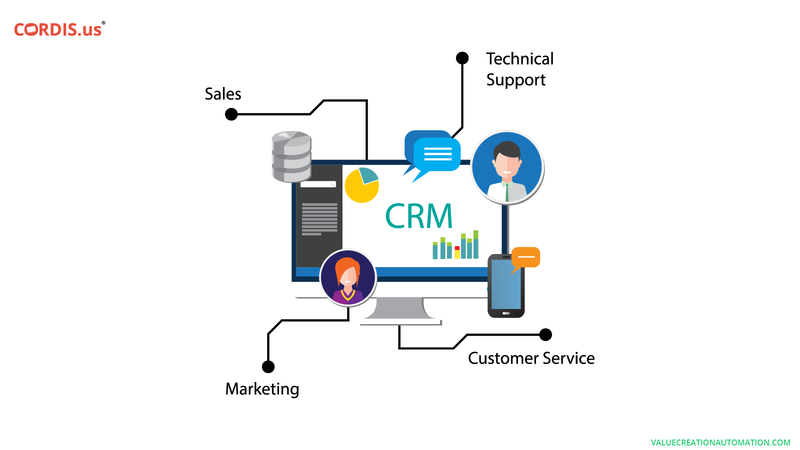 At a time when the competition is growing continuously, this CRM software, developed by Cordis Technology, can enable companies in gaining competitive advantages. Following is some of the features of VCA CRM software that enables businesses in delivering the complete value to customers. With the continuously increasing use of smartphones, the Internet and also the various social media platforms, the customer’s way to communicate with the business organizations have transformed completely. And the VCA CRM software plays a key role in making the communication flow smooth. The communication is no more limited to telephone and other traditional mediums. VCA CRM software integrates advanced communication mediums such as chats, emails, SMS, fax and even supports voice calling. With this cloud CRM solution, businesses can allow customers to approach using even the diverse social media platforms such as Twitter & Facebook. Customers today shop anytime and everywhere. VCA CRM enables business in remaining available to customers, round the clock. Therefore, customers can put in their queries to companies whenever they want and businesses, in turn, can provide them with an instant solution. This builds a credibility and boosts the customer's confidence towards the business organizations. VCA offers cloud CRM solutions, which enables companies in saving and managing the entire customer data efficiently. The entire data, pertaining to customer’s contact details, communication history, transactions and many other, are encrypted and saved in the cloud within multiple security layers. This allows the customer care team members to have an instant access to the entire data of every individual customer even using their smartphones. Moreover, they can manage, customize and download the details anytime and anywhere to solve customers queries instantly. On the other hand, VCA deploys best CRM tools, which supports businesses in effective contact management. Businesses can always maintain proper records of contact with the old customers as well as the new ones. In case, a particular customer contacts to the CRM call center, executives can directly go the customer’s profile, which supports in offering an instant solution. The traditional CRM solutions are about maintaining the customer database, but the advanced VCA CRM software is designed to offer a holistic solution. Besides supporting in the efficient management of the entire customer database, this cloud CRM solution helps in maintaining a personalized and a long-term relationship with customers. VCA CRM software is designed with a visual dashboard, which can be viewed even on smartphones. The visual dashboard records and reports every single communication details in the real-time. Managers & executives can instantly go through the buying behavior of customers, the pattern of queries, purchase history and other various details. It helps companies in understanding the continuously changing market trends and preferences of the end-users. Having analyzed such aspects, it becomes uncomplicated for businesses to develop customer-centric strategies. The delivery of products & services is another factor that matters the most to customers. When products & service are delivered within the time stipulated, it significantly adds to the customer’s satisfaction level. Moreover, it also encourages them to buy again. VCA CRM software consists of a Pushcord that is basically designed to reduce the cycle-time (the time between receiving the order from customer’s and making the delivery). An automated notification is sent to the inventory team, suppliers, customer care team, customers and other various stakeholders at the same time. This supports an instant Call-to-Action, enabling companies in making a super-fast delivery of the ordered products & services. The integration of the entire CRM process is another factor that enables businesses in delivering complete value to customers. When the process, people and all other functions are integrated into one platform, through VCA’s visual dashboard, it saves employees from the complexities of managing so many tasks at the same time. An integrated platform enhances visibility, which gives a better control of the entire process. Even when away from the office, Managers & executives can perform diverse CRM functions without any hassles. 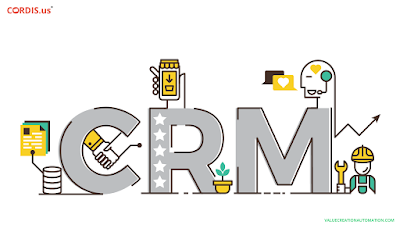 Moreover, having an integrated platform, it also becomes uncomplicated for the CRM team to tag the problems, which they were unable to resolve, directly with the concerned departments. This helps in providing quick solutions to the customer’s queries. VCA CRM software is unique. The services of this cloud CRM solution is not limited to Large Enterprises only. With almost zero capital investment required and with 0% AMC, VCA provides even small businesses in reaping the benefits of the technological solution to deliver the complete value to customers. As the customer-preferences keeps on changing, the VCA CRM software enables companies in evolving accordingly. It consists of a flexible structure, which enables companies in customizing the CRM process according to the new process requirements. This supports companies in delivering a sustained value to customers even in the future. The market value for CRM software is increasing perpetually. It is expected that by the end of 2018, the global market size for the CRM software is expected to reach to $25.3 Billion. The advanced cloud CRM solutions are supporting business organizations, both SMEs & Large Enterprises, in reaping optimum benefits from a healthy relationship with customers. And, the figures show that the demand for such solutions is increasing continuously. VCA CRM software is designed to generate a long-lasting impression on customers. It is about providing a robust point-of-contact (POC) to customers, which can always remain available to customers and across platforms. These factors play an essential role in winning the confidence of customers. Such factors can significantly impact customer’s buying decision and can also support in turning visitors into prospective buyers. Designed to enhance the efficiency of the customer relationship management process by making it fast and accurate — the advanced VCA CRM software supports businesses in a constant revenue generation even in the long run.